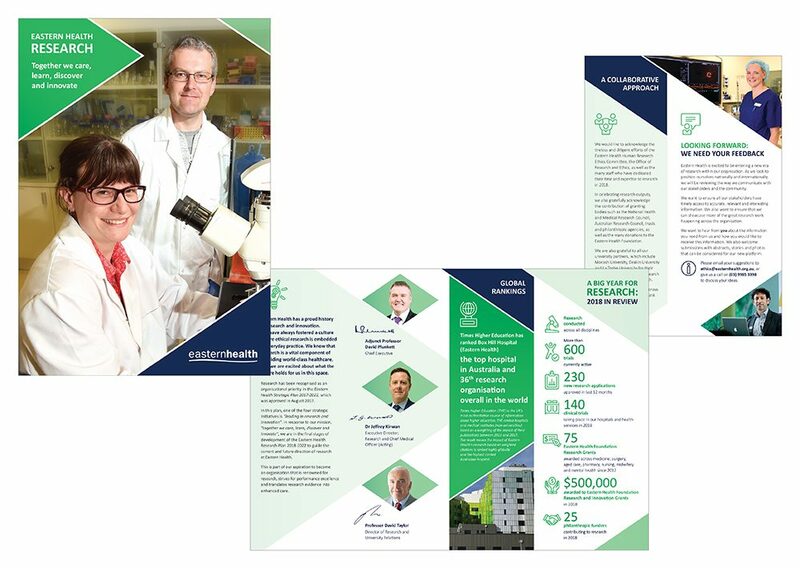 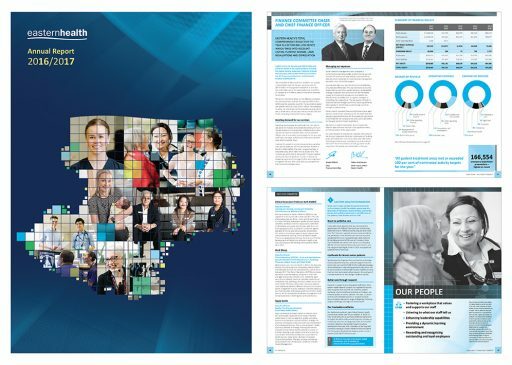 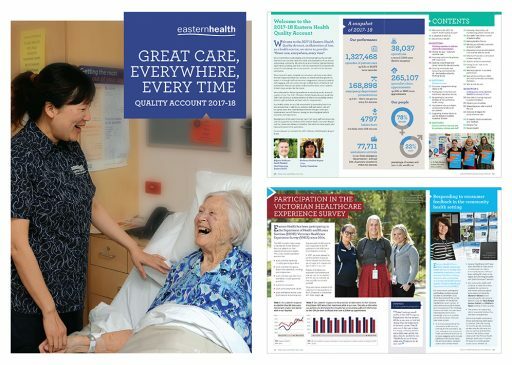 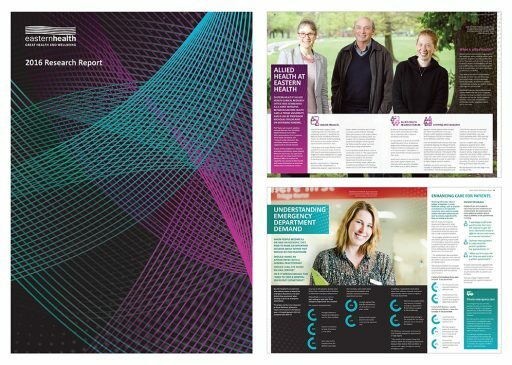 Eastern Health 120 page A4 Annual Report 2017-2018. 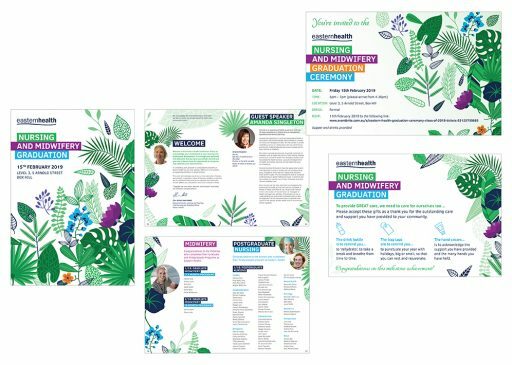 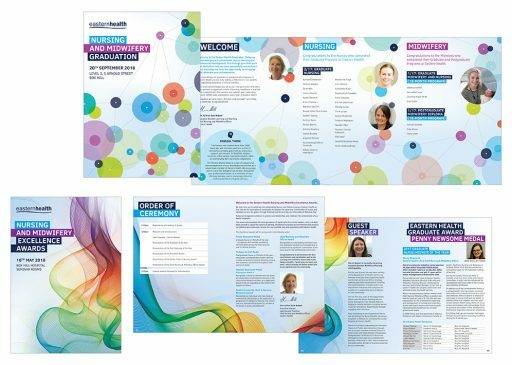 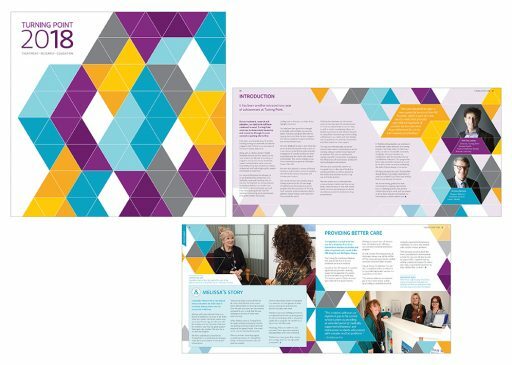 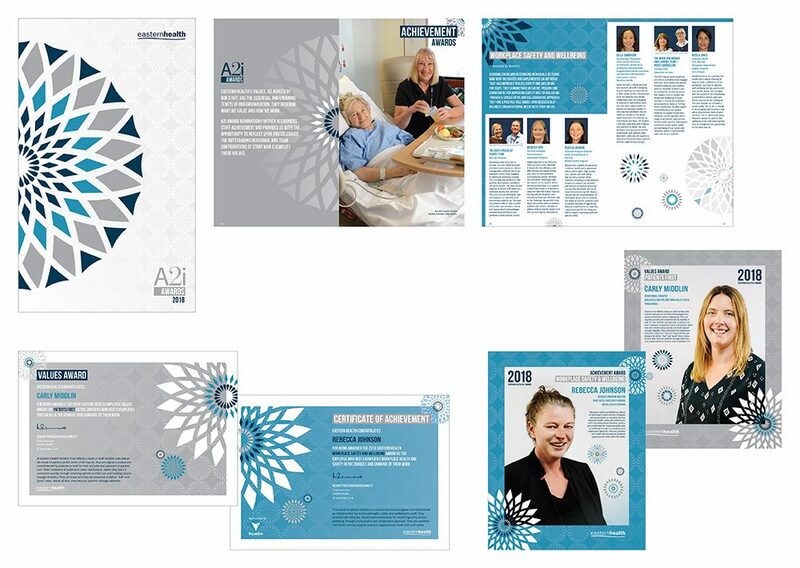 Eastern Health 2019 Nursing and Midwifery Graduation 8 page A5 booklet, digital invite and a one sided A6 postcard. Eastern Health Nursing and Midwifery Graduation Ceremony 2018 6 page A5 trifold booklet and Eastern Health Nursing and Midwifery Excellence Awards 2018 12 page A5 booklet. 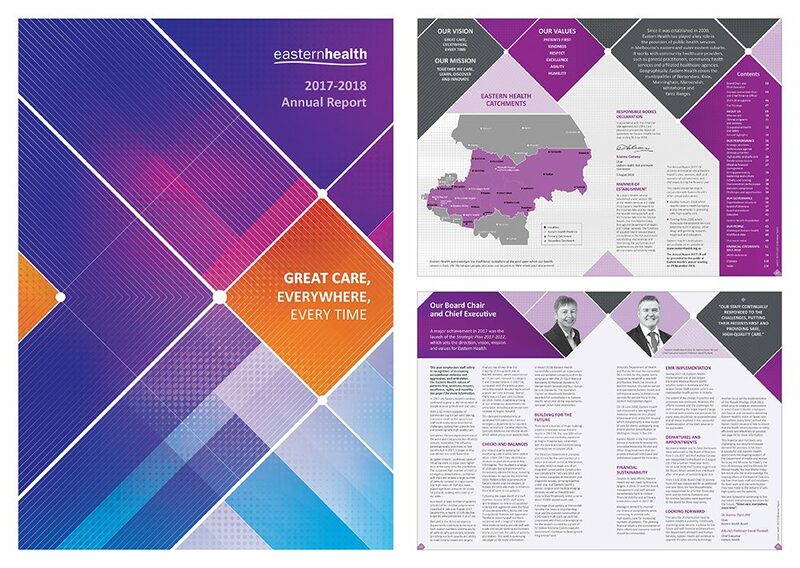 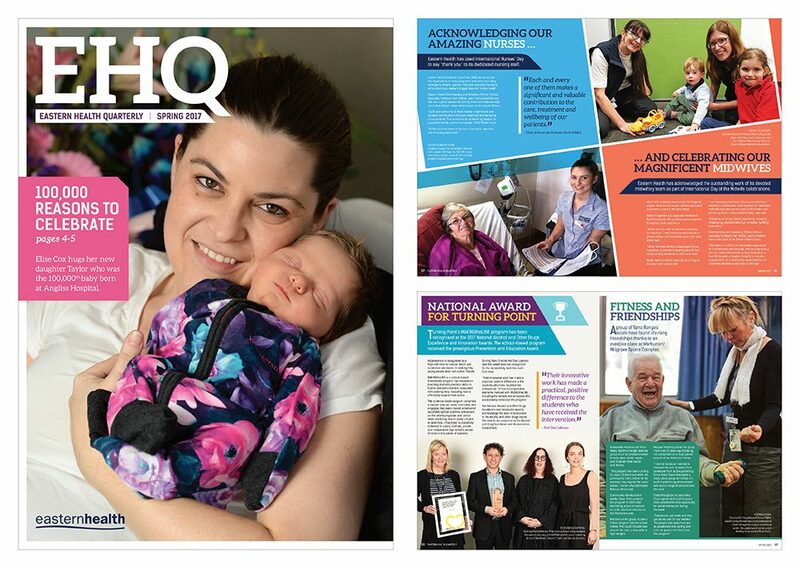 Eastern Health Quarterly (EHQ) 8 page A4 newsletters for 2017. Eastern Health 28 page A4 2017 Research Report. 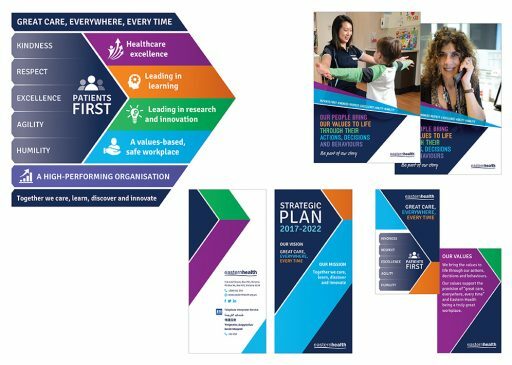 Eastern Health 2017-2022 Strategic Plan graphic, A4, A3 and A2 posters, 6 page DL brochure, 2 page lanyard values card and A3 values posters. 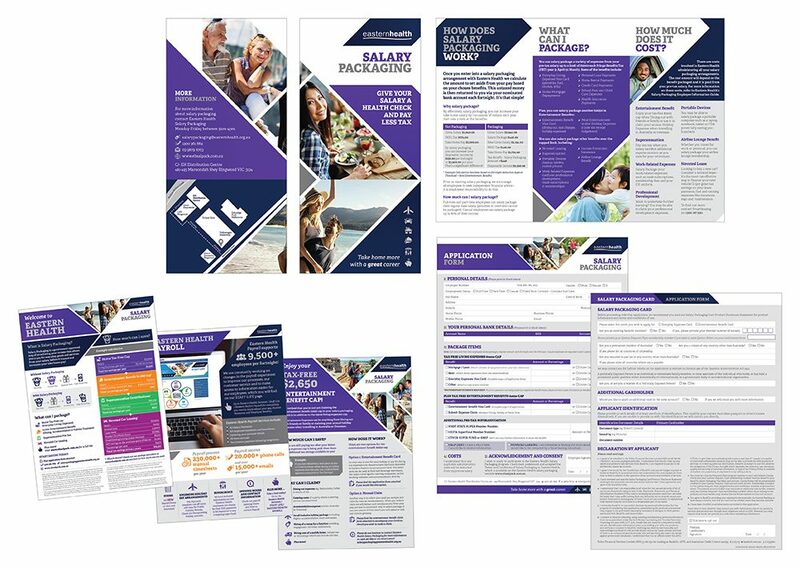 Eastern Health Salary Packaging A4 marketing flyers, a 12 page DL brochure and application form. 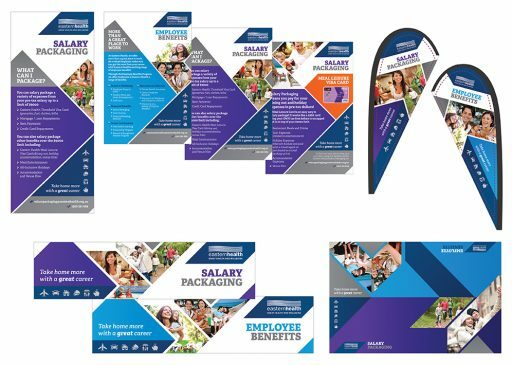 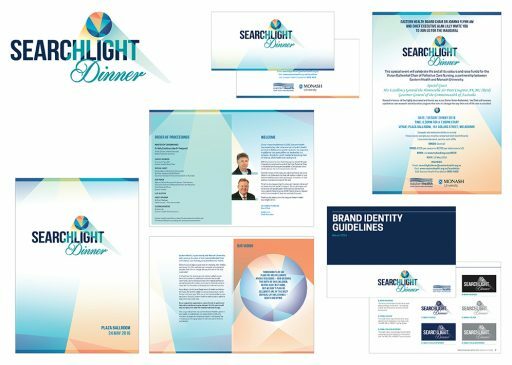 Eastern Health Salary Packaging and Employee Benefits items include floor banners, table top banners, web banners, tear drop banners, table cloth and Meal Leisure Visa Card. 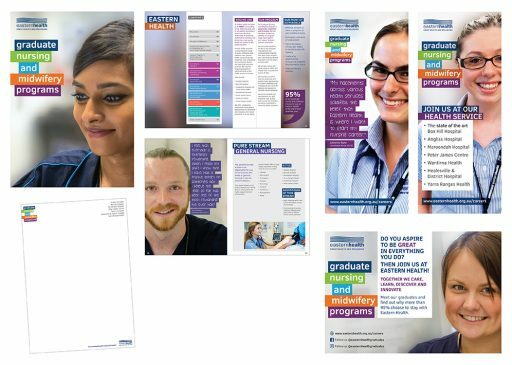 Eastern Health Graduate Nursing and Midwifery Programs 16 page A5 program booklet, 1/2 page newspaper advert, A5 note pad and pull up banners. 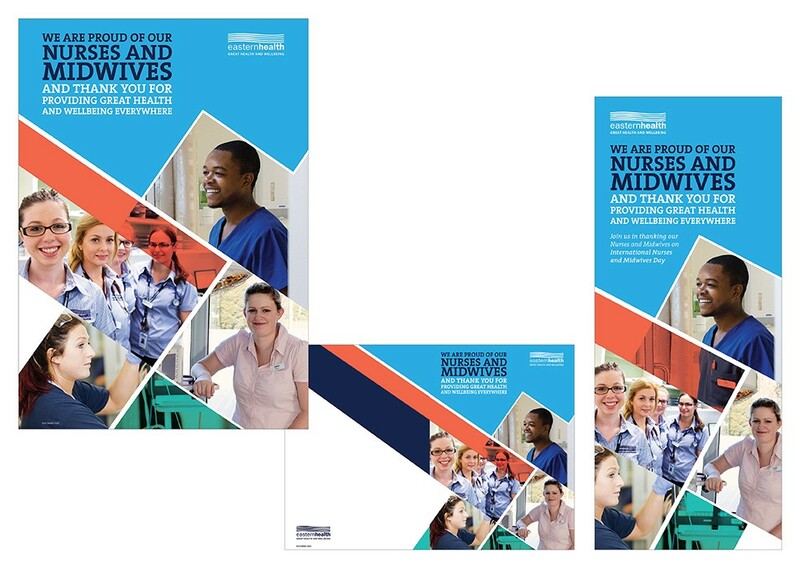 Eastern Health International Nurses and Midwives Day for 2016 items included A3 poster, 4 page A5 Thank you card and a pull up banner. 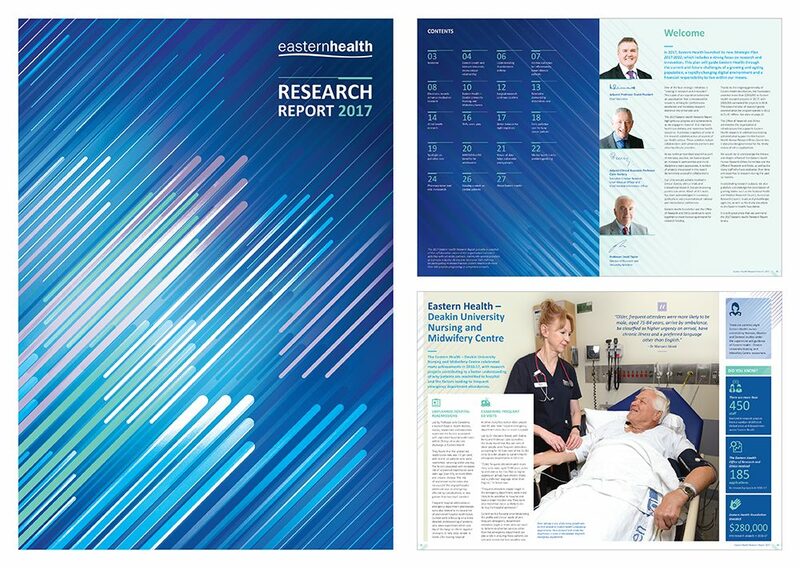 Eastern Health 28 page A4 2016 Research Report. 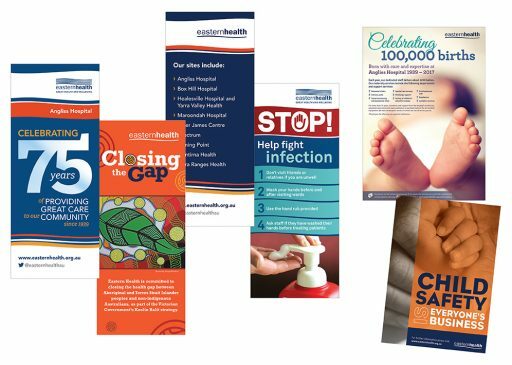 Eastern Health various pull up banners, A0 Celebrating 100,000 Births poster and A3 Child Safety poster.